This cosy beanie hat is made in Scotland from beautifully soft 100% Merino Lambswool, sourced from a family run British mill that have been spinning quality yarns since 1766. 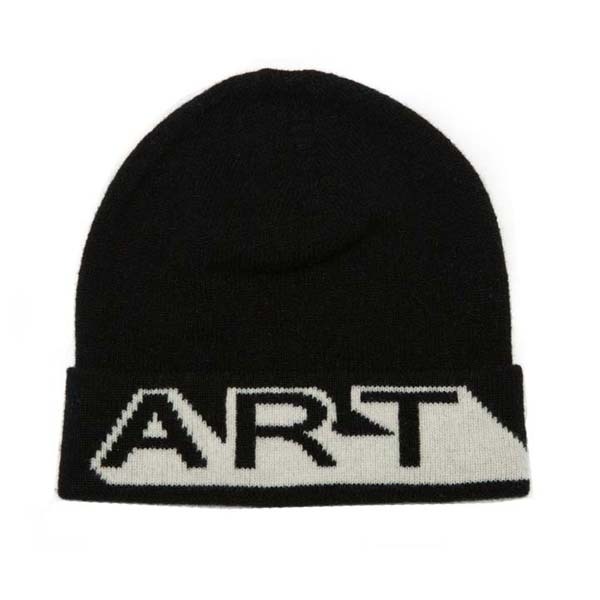 Knitted by a small artisan maker in the Scottish Borders. Thin ribbed hat that will fit every head, as wool has a natural stretch. 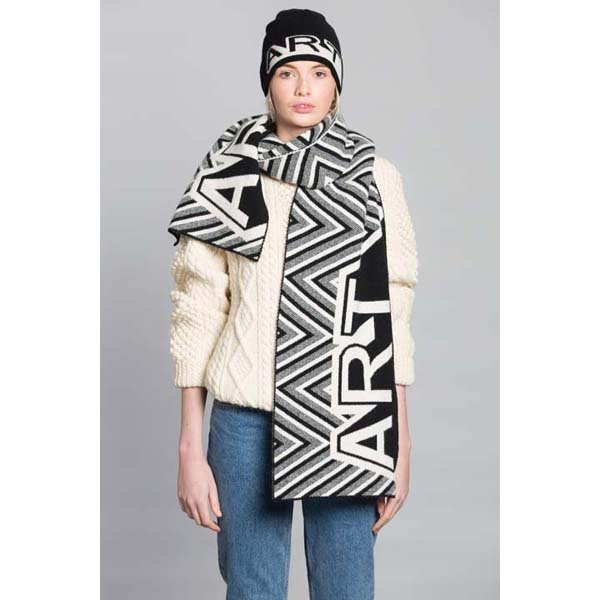 A classic combination of black and white with a bold text ‘art’ statement, a very versatile piece. Made by Scottish company Green Thomas who aim is to use the skills and workmanship of Scottish makers and design beautiful contemporary product with an emphasis on quality.